Congratulations to Dr. Bill Morgan for being named Fellow of the American Association for the Advancement of Science, the world's largest general scientific society and publisher of the journal Science. The AAAS gives the distinction of Fellow to members who have made efforts toward advancing science applications deemed scientifically or socially distinguished. 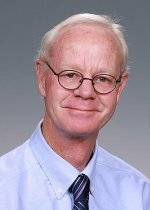 Morgan is being honored for his "outstanding contributions toward understanding the biological effects of ionizing radiation and distinguished service to the radiation protection community." He will be recognized at the Fellows Forum during the AAAS national meeting in Washington, D.C., in February. Morgan's research focuses on the biological effects of low-dose radiation on human health. He and his Pacific Northwest National Laboratory colleagues examine radiation's effects on humans using a 3-D skin model. His research in cell and molecular biology, biochemistry, and other fields helps protect people against radiation's adverse effects. He directs PNNL's radiation biology and biophysics low-dose radiation research program. Morgan serves as a scientific representative for several national and international regulatory agencies, including the United Nations Scientific Committee on the Effects of Atomic Radiation. Morgan is also an adjunct professor at Washington State University Tri-Cities, the University of Washington, and the University of Maryland Medical School in Baltimore.